For some, 30 years of work at a particular job—or even in a particular field—is an unimaginable feat. How could someone work the same job day in and day out, and still be passionate about their work? For West Palm Beach elder law attorney, Mark Shalloway, it’s easy: passion. From a young age, Mark Shalloway was fascinated by the world of law. Through watching his father practice, he discovered how the work of attorneys can help through such a diverse number of fields. He always knew he wanted to be social engaged. While continuing his education, a group of panelists came to one of his classes in search of people who were willing to serve as advocates for elder communities. It was there he realized just how unfairly priced care at these facilities often are. He noticed how the middle class struggled to keep up with the expenses many homes charge, and knew that wasn’t right. When Shalloway decided he found his calling, the field of elder law was still growing. It started with a focus on wills and trusts, but as time went on, shifted in include incapacitation, guardianship, and Medicaid. Shalloway served in the charter class of board certified elder law attorneys by the Florida Bar, and has continued to be a trailblazer ever since. Shalloway has served as member, chairman, and president of a number of organizations dedicated to protecting and serving the elder community. Locally, Mark Shalloway is the founding chairperson of the Palm Beach County Bar Association Elder Law Committee. 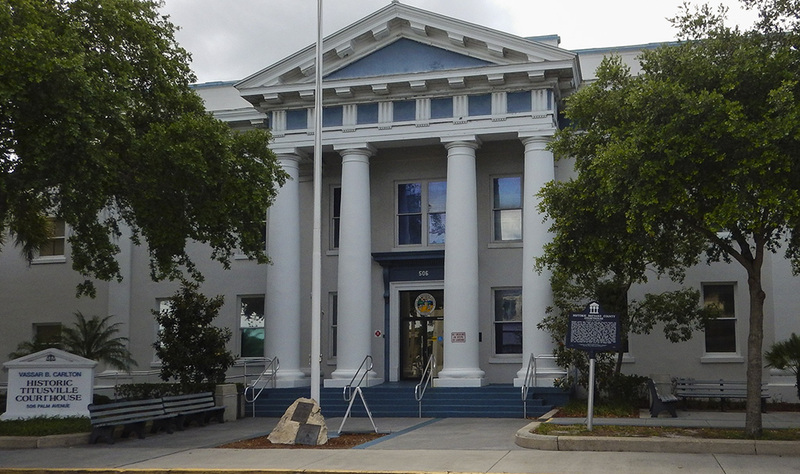 On a state level, he served as president of the Academy of Florida Elder Law Attorneys. Nationally, Shalloway served as president of the National Academy of Elder Law Attorneys (NAELA). These are just three of his many achievements. But title isn’t everything. What keeps a man fighting for the rights of others is a dedication to his work. Shalloway and his staff of outstanding elder law attorneys each wish to see the elder community receive the respect and care the deserve. 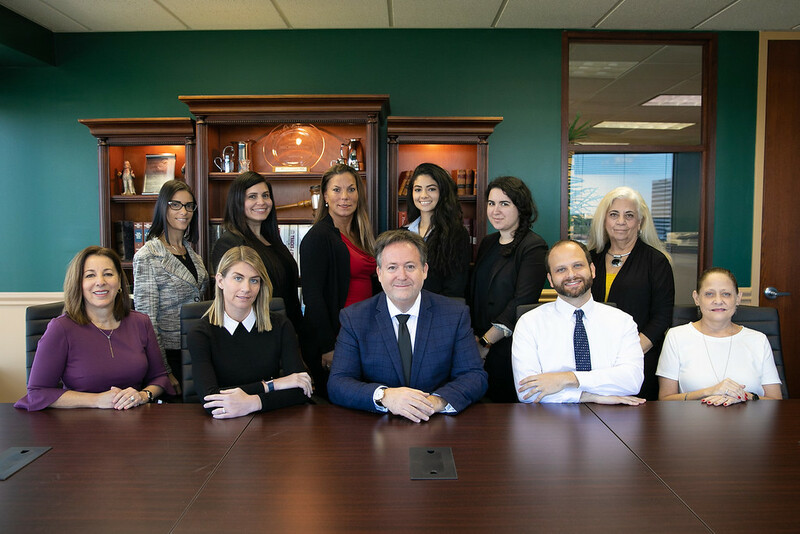 No matter how big or small a case, that staff at Shalloway & Shalloway will do everything in their power to ensure their clients’ needs are met, because at the end of the day, it is client satisfaction that is most important to these professionals. 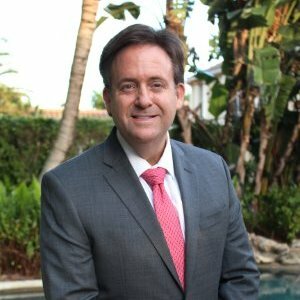 For more information about Mark Shalloway and his firm, call (561) 686-6200 or visit the Shalloway & Shalloway office. Gore Brothers, a court reporting firm based in the Baltimore area, is pleased to announce their tips for a successful videoconference. 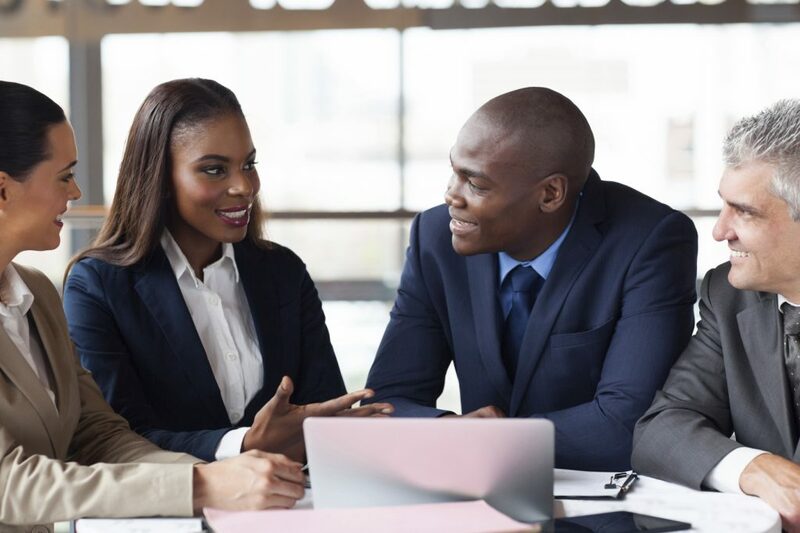 These tips allow attorneys and their witnesses to know exact what to do—or what not to do—in order to look professional and put together. From lighting to what you should wear, Gore Brothers has sound advice for every aspect of videoconferencing. 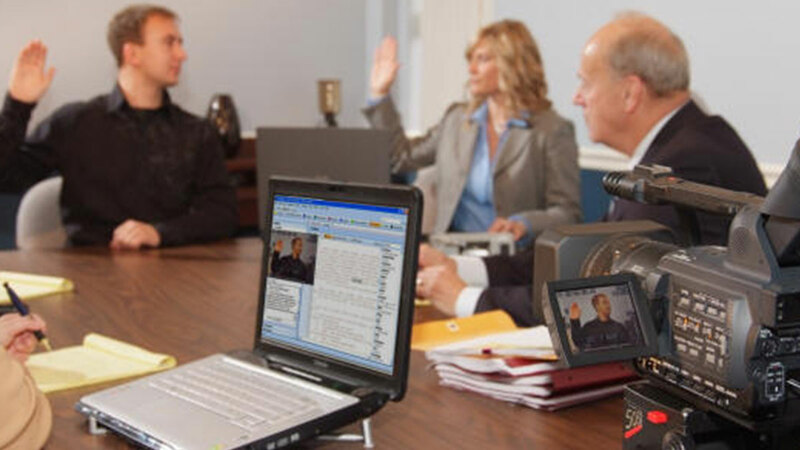 In the world of law, videoconferencing has become an incredibly important aspect of business. Sometimes, it’s difficult for a legal team to get together and discuss the happenings of a case—especially when a legal team is spread out. Videoconferencing allows teams to meet face to face without having to spend an excessive amount of time and money on travel. 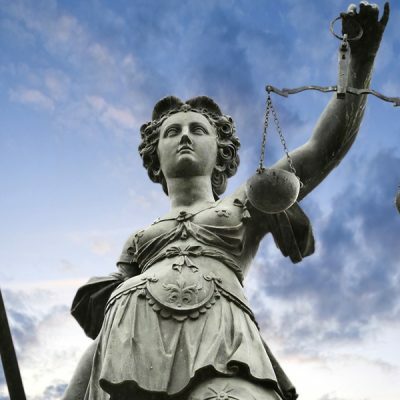 For over 60 years, Gore Brothers have provided attorneys and paralegals in Washington D.C., Maryland, and the Virginia area with quality court reporting. Clients know that, no matter their area of practice, Gore Brothers has specialists that can be of assistance to them. As the legal world has changed, so has their offered services, and the Baltimore court reporters have expanded their reach to include videography, videoconferencing, and a wide array of litigation services. For more information about Gore Brothers, call (410) 837-3027, email reporter@gorebrothers.com, or visit one of their office locations. When attorneys and paralegals in the Cleveland area need a court reporting service, they don’t pitter-patter between court reporting firms. For the best professionals, only one firm comes to mind: Cady Reporting. For over 40 years, Cady Reporting has served the Cleveland area with their wide variety of court reporting specialists and litigation services. They are well known for their speed and accuracy—firm president, Charles (Chuck) Cady has won a number of awards for just that—but it’s their customer service that truly sets them apart from the rest. What is it about their customer service that changes the game? Is it responsiveness? Surely, acting as a highly attentive firm would garner attention. While that is certainly part of the equation, it isn’t what makes or breaks them. It is the fact that they treat their clients—attorneys and paralegals on big or small cases—with an unparalleled level of respect. The staff knows the names of their clients, and what’s more, wants the best for their case. Clients aren’t just numbers to justify the means. Clients are almost like family. No one wants to feel as though their requests are a burden. The staff at Cady Reporting would never treat their clients in such a fashion. Whatever their clients need, Cady Reporting’s staff is happy to deliver, because this isn’t just a job to them. These Cleveland court reporters are dedicated to their work, and that dedication shows throughout each and every aspect of the business. For attorneys who know the industry, in Cleveland, Ohio, the only court reporting firm to turn to is Cady Reporting. To schedule a service with Cleveland’s best, call 888.624.2239, email cadystaff@cadyreporting.com, or visit their offices. 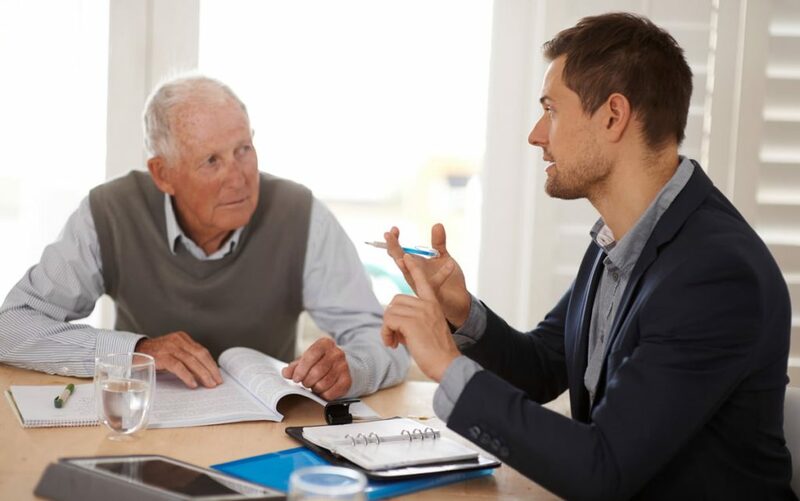 In West Palm Beach, there is one attorney clients know to turn to for all their estate planning, guardianship, and elder care needs. For nearly 30 years, Mark Shalloway has been the face of elder law. His passion, respect, and dedication to his work sets him apart from peers. 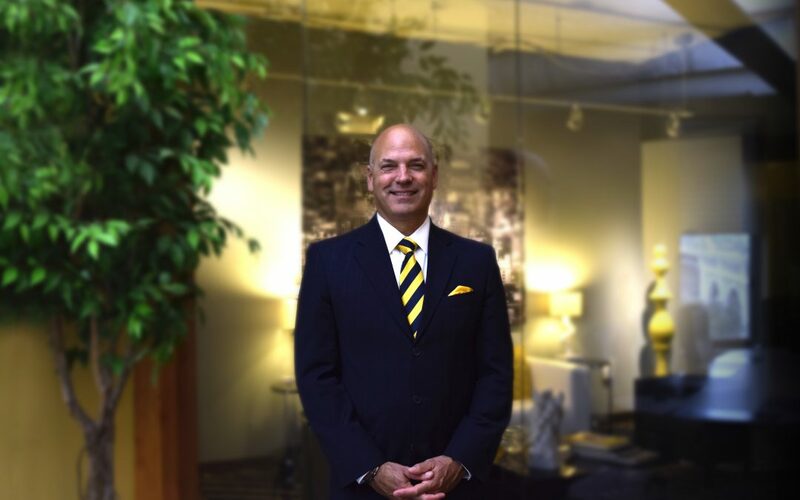 Where many attorneys simply look to numbers for a measure of success, Mark Shalloway and his staff at his firm, Shalloway & Shalloway, look to their clients’ results. Shalloway and his staff have been referred to as “lifesavers” with the ability to turn a situation from “desperate to hopeful.” The patient staff will see through every single case, no matter how big or small, to the end. In the golden hour of one’s life, one should not have to worry if their retirement and family can be sustained. Shalloway’s elder law attorneys makes turns the worry from a burden into an easy to swallow pill. But Mark Shalloway does more to help than providing legal solace—he goes out into the world to make a difference. 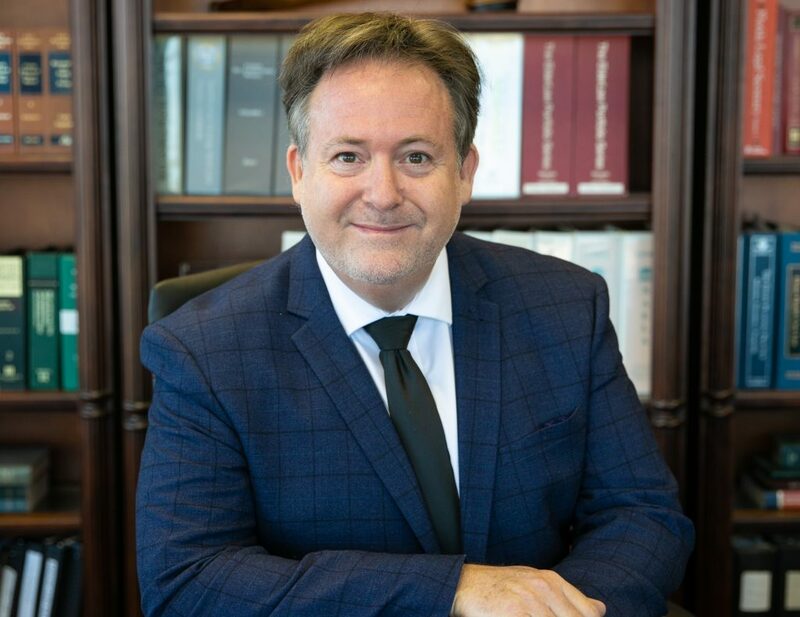 Save serving as the President of the Academy of Florida Elder Law Attorneys, president of the National Academy of Elder Law Attorneys (NAELA), and other positions of leadership within the elder law community, Shalloway has made it his mission to educate others on his area of practice. He gives free, monthly seminars on estate planning. He works as an Adjunct Faculty member at Palm Beach Community College and a frequent lecturer at Stetson College of Law—namely on special needs trusts. 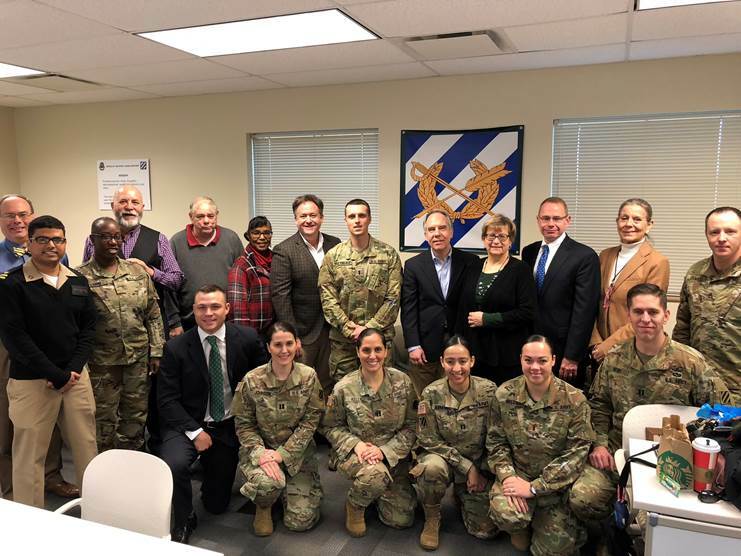 Shalloway, elder law attorneys, and members of JAG Corps. This past December, Mr. Shalloway did just that. On behalf of Stetson College, Shalloway traveled to Fort Stewart in Savannah, Georgia to deliver a talk on the wide array of information concerning elder law—from wills and trusts, to insurance, and everything in between. Alongside him was Professor Rebecca Morgan, a head professor at Stetson, and a number of elder law attorneys from across the nation. 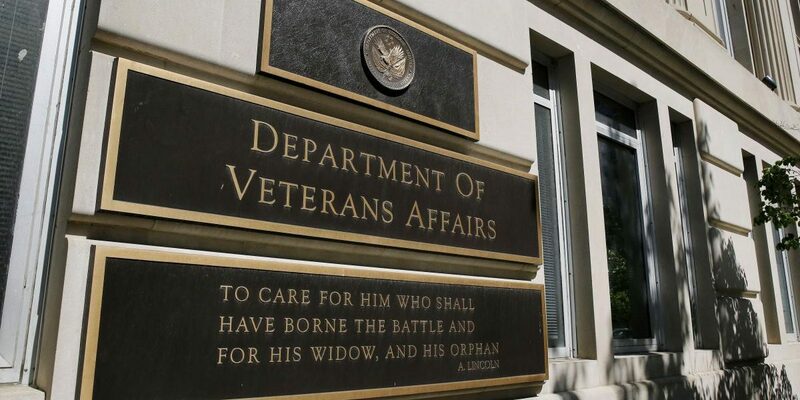 These figureheads in elder law delivered a talk on elder and special needs law to the JAG corps stationed there. 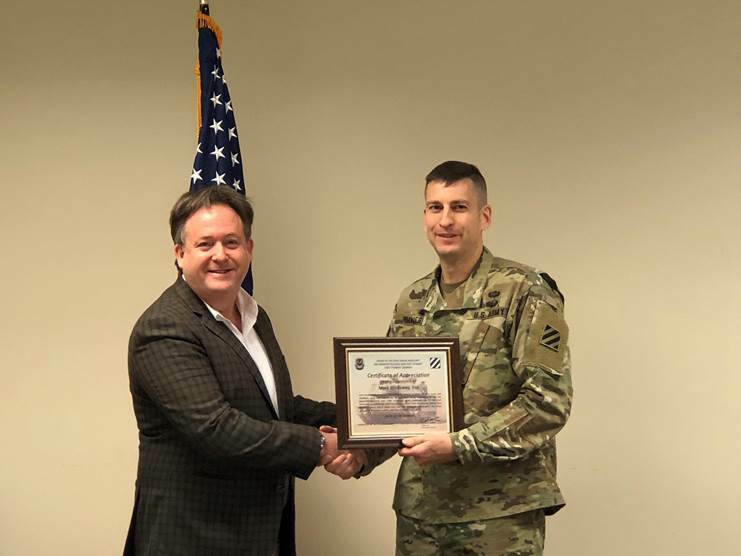 Along with the informative session on medicare and more, Shalloway and his cohorts presented a Certificate of Appreciation to John Webster—a staff judge advocate at the third infantry division and Fort Stewart. Mark Shalloway doesn’t have to continuously go the extra miles he travels to help others, but he does. It is an aspect of his work Shalloway has deemed important, because he cares about more than making a paycheck—he truly cares about the lives of others, clients or not. It is a formidable trait to carry, especially when it comes to elder law. For more information on Mark Shalloway and his firm, call (561) 686-6200, fill out their contact form, or visit their offices. Technology has rapidly changed and transformed in massive ways over the past century. We went from horse-drawn transportation to cars being practically a necessity. We used to need an operator to connect our calls. Now, our telephones have gone from bulky and wall-mounted to pocket-sized with all the world’s knowledge at the touch of a button. The businesses that reject change are the ones that fail. When searching for a variety of services, the first thing many of us do is go to Google. If a business decided to invest in a listing in Yellow Pages instead of a well-designed website, they will more likely than not lose an innumerable number of customers. For some, offering free WiFi isn’t something that was even on their register. It’s something customers immediately recognize, however, and it can even turn away business. These little nuances of the modern world cannot be neglected. Unfortunately, too many court reporting firms fall into this bracket of business. They are comfortable with the equipment, resources, and website they have, and while comfort is a good thing, it can be bad for business. If a business doesn’t evolve with the ever-changing world, it gets left behind. These changes don’t have to be scary, however. Take Orlando court reporters at Ryan Reporting, for instance. The court reporting firm took notice of the rapidly changing legal industry, assessed them, and incorporated them into their business. This is what has kept the firm’s doors open for over 40 years. Ryan Reporting recognized that, these days, attorneys and paralegals don’t have the time to hop from firm to firm in search of each and every one of their litigation services. So, on top of offering quality, certified court reporters, Ryan Reporting also provides clients with videography services, deposition suites, case research, translators, word indexing, and more. The firm also knows that to have an entirely successful case, attorneys need a litigation team that has full understanding of their area of practice. Experienced court reporters that are fluent in the terminology and nuances of the field can make a world of difference for the outcome of a case. What is perhaps one of their most innovative services, however, is their online booking engine. Many court reporting firms still require attorneys to call in to request a service. 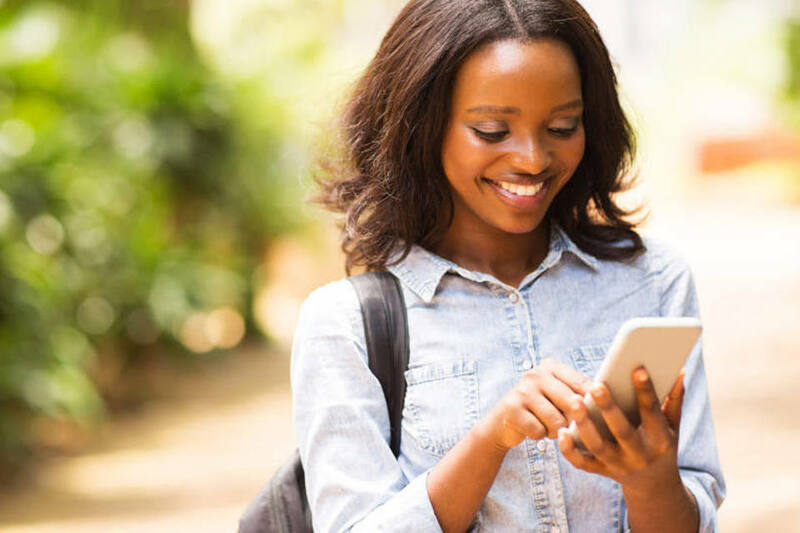 Email is certainly easier for on the go professionals, but Ryan Reporting’s mobile-friendly booking engine really changes the game. Attorneys simply have to fill in information about their case and services needed, and like that, they can schedule a service anywhere, at any time of day—be it during their morning coffee run, or right before bed. Legal analyst, Lucero Nunez, has nothing but good to say about the firm. For more information on Ryan Reporting, call them at (321) 636-0972, email them at info@ryanreporting.com, or visit their offices. When one thinks of large cultural-hub cities, what immediately comes to mind is New York or Los Angeles. Perhaps Chicago comes up, or maybe Miami. Houston is rarely first on that list, when in fact, Houston is the fourth most highly populated city in the United States, and it keeps growing. Perhaps it’s the overall average temperature that draws people in, or its flourishing art and music scene. Perhaps people want to catch a glimpse at the Johnson Space Center, or see the amazing Livestock Show and Rodeo that has been a staple of Houston for over 80 years. Whatever the appeal, Houston’s growing population has led to an explosion across industries. Restaurants are popping up, artists are moving to the city in search of their claim to fame, but there is one rapidly growing industry that many may not even consider: law. Between 2001 and 2017, 46 new law firms opened their doors. To many, this means nothing, but when put into the perspective that only San Francisco surpassed this number, the monumental feat is recognized. The phenomenal growth in the legal field makes sense—with more people and their variety of needs, a good lawyer is necessary to the new businesses popping up all the way to the teachers looking for better pay. Each and every one of these 46 new law firms, as well as the dozens of old, cover different areas of practice. There are firms that specialize in maritime law, or sports and entertainment law, or criminal law. But no matter their area of practice, there is one thing every single one of these firms need: a quality court reporting service. Hanna & Hanna Certified Court Reporting & Video Specialists has been a crucial part of the Houston legal field for over 25 years. No matter the size of the case or the workload, Hanna & Hanna does what it can to ensure their clients have the best resources possible. The firm is owned and operated by experienced certified court reporters who understand the quick-paced field. Their dedication to their work and their clients is what makes them one of the most sought after court reporting firms in Houston. From the beginning, Hanna & Hanna has been dedicated to providing their clients with the most up to date technology the world of litigation has to offer. A client cannot form the best case possible if they do not have the best equipment available. The firms who don’t keep up with the times get left behind, but Hanna & Hanna rises above. They offer excellent videography services and internet streaming not only across the state of Texas, but worldwide. Every client leaves Hanna & Hanna totally satisfied with the service they booked. The court reporting specialists are efficient, accurate, and quick—even offering their clients same-day rough drafts and a full transcript in 24 hours. If clients need an emergency service, they can email Hanna Reporting at afterhours@hannareporting.com and promptly receive a call or email, no matter the time of day. This dedication proves that Hanna & Hanna Reporting is truly dedicated to their clients—a highly admired trait. To learn more about Hanna & Hanna, call (877) 840-3376 or visit hannareporting.com. Nowadays, it seems there isn’t a person in the world that doesn’t have at least one social media account. With so many options from Facebook, to Twitter, to Reddit, or Tumblr, it almost seems like we can’t avoid it—and many of us don’t. The little computers in our pockets keep us updated on our friends, family, favorite celebrities, local events of interest, and so much more. In this day and age, the biggest mistake a law firm can make is veering away from the bandwagon and not establishing an online presence. Instead of picking up the phone and calling the business to learn more, many instead opt to a quick Google search. If a firm doesn’t at the very least have a well-designed, easy to use website, potential clients turn the other way. It doesn’t matter how brilliant the staff is or how long the firm has been open. Clients don’t want to search for proof of excellence, they want it immediately. When West Palm Beach elder law attorney, Mark Shalloway, not only understands this concept, but fully embraces it. With just a few clicks of a button, potential clients can not only find Shalloway and reviews of his firm, Shalloway & Shalloway, but an easy to access website that presents clients with information on the firm, its staff, its reputation, and any updates in the area of practice that is elder law. The website presents information in a concise manner that is incredibly valuable to the busy professional of the 21-century. But hosting a great website is only half the battle. It is essential for firms to be pushing their names into the public. Many turn to radio or television commercials, and that is just fine, but there is a great alternative that saves time, money, and is used by billions of people every day—and that is social media. The Shalloway & Shalloway firm run a successful Facebook page. With a large number of followers, the attorneys at Shalloway & Shalloway can easily connect to potential clients. Running a social media allows them to share updates as they come. Recently, the firm moved locations. Because of their Facebook page, they were able to keep clients posted on the process, the location, and anything else involving the move. Having one (or multiple) social media accounts allows the faceless attorneys of the firm to become humanized. A vast majority of people have skewed images of lawyers, but having a presence on social media has allowed the staff at Shalloway & Shalloway paint themselves in the light they want to be painted, thus fostering better client relationships. Social media is not only great for public image, but for generating business. When you follow a page, its posts appear on your timeline, keeping the company in your radar. By having a readily used social media, clients will remember the firm, and come back to whenever the need arises. With their Facebook page alone, Shalloway & Shalloway has seen an increase in business, and other firms should certainly take heed. For more information on the firm, visit their website, their Facebook page, or their offices. The landscape of the world of law and litigation is changing. As our culture becomes more and more “go, go, go” in the age of the internet, it is important that each legal firm keep up to speed. That is why many are making major changes that put them ahead of the curve. 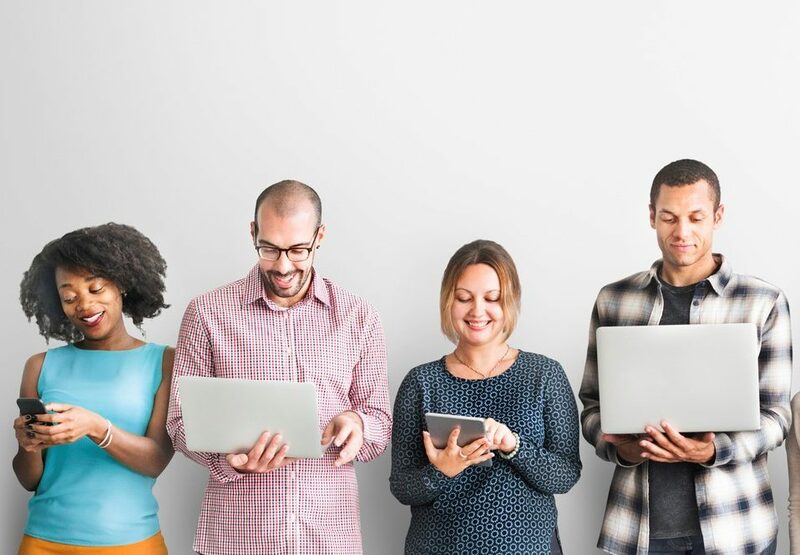 Here are five of those legal trends to be on the lookout for in 2019. Attorneys and paralegals are always looking for ways to more efficiently manage their time. Many have favorite court reporters to turn to for all their litigation needs, but a large portion of these firms are stuck in the past with limited calling or email scheduling options. However, things are starting to change. Many court reporting companies are now offer mobile scheduling for court reporter services. These scheduling options allow attorneys to simply click on the booking engine, fill out contact information, information on the case, and which services need to be booked. Upon submitting the request, the firm is notified of the proposal and promptly gets back to the client. These mobile booking engines attorneys to fill out a request anywhere, any time. 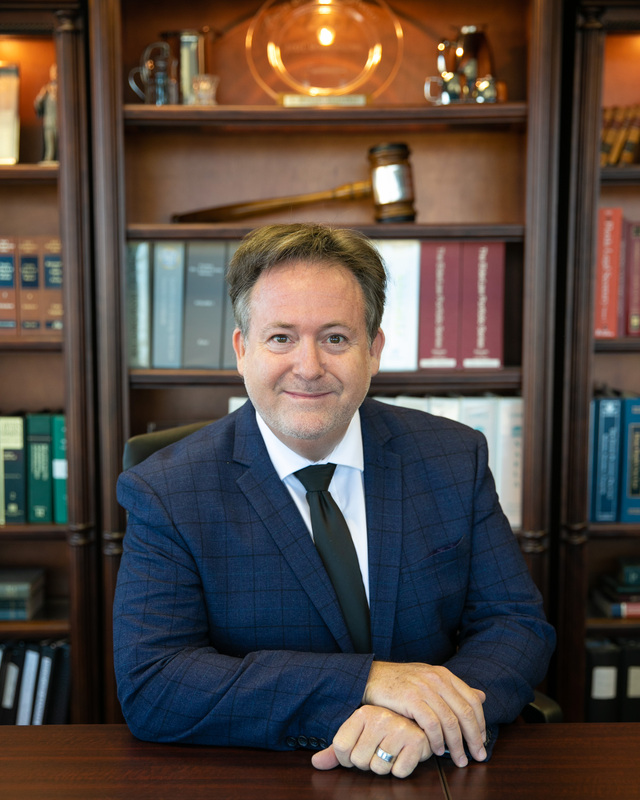 In an interview with West Palm Beach Elder Law attorney, Mark Shalloway, he reveals that there is “intimidation and fear with booking with a lawyer.” This causes many clients to not seek the help they need. 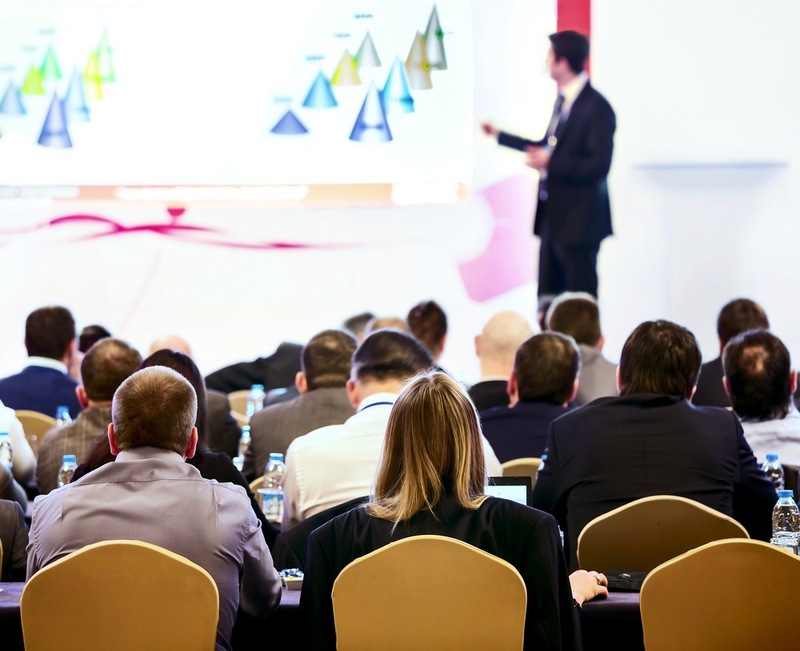 By offering free seminars on a particular area of practice, locals can learn about the field and determine whether or not they want to proceed with this particular law firm. The anonymity that comes with participating in an audience setting allows potential clients to comfortable intake knowledge. With the rise in social media, having an online presence is far more important than it once was. People rarely turn phone booths or radio ads to learn about a firm. Nowadays, people open Google and search for firms near them. It is vastly important for a law firm or court reporting firm to have a stunning, easy to navigate website that can appeal to both younger and older generations. Having multiple social media accounts, such as Facebook and Twitter, allow clients to stay engaged with the business. When exposed to frequent updates, it keeps the business on the minds of clients, making them more likely to return to the firm when they need help. An increase in online presence and a transfer from paper to digital, however, leads to an increase in data breeches. In a study by ABA in 2017, it was reported that 44% of firms experienced a threat to security and breech. With important and sensitive information on not only the firm itself, but their clients, sitting on each and every one of the staff-members’ computers, it is essential that greater focus be placed on security. 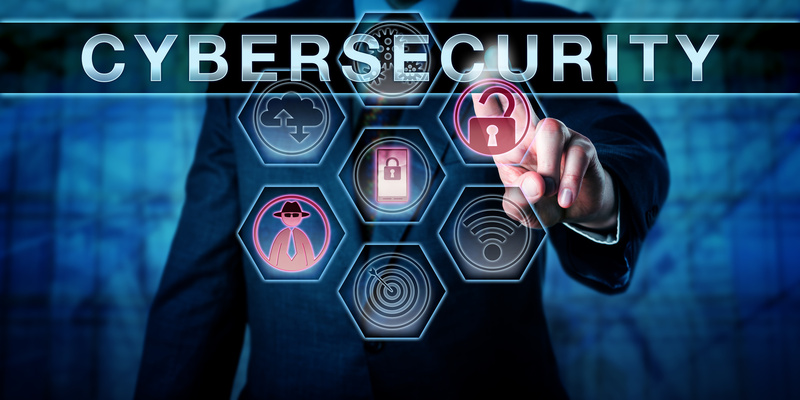 Many firms hiring more than adding IT professionals to the team—they are turning to cyber security companies such as Root9B and Intel Security to keep their information secure. YouTube is quickly becoming one of the top search engines in the world. More than 75 million people in the world watch videos every single day. People would rather watch a video that is just a few minutes long than ready a several-paged article that holds the same information. Videos are engaging, and can be watched while people wash the dishes or do any other number of tasks. 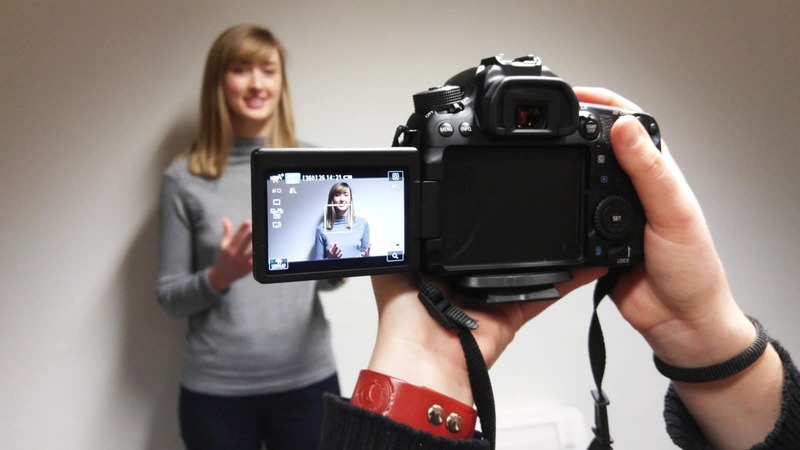 By creating easily digestible video content, firms can get their information into the world in a creative way that appeals to a large audience. Shareable, interesting content will help spread the word. Videos also help put a face and personality to what one may have been seen as an intimidating attorney. If present and future clients feel comfortable and familiar with a firm, they will be more likely to schedule an appointment or service. 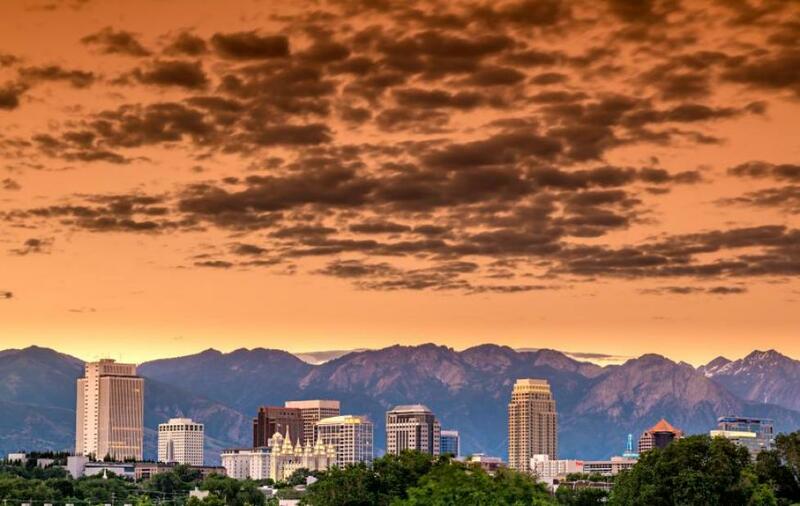 Salt Lake City became one of America’s great unique and historical cities in 1847. As one walks through the streets of Utah’s state capital, they can’t help but be humbled by breath taking architecture surrounded by glorious mountains. Though it may not look like it did during its conception, one can feel the history of Salt Lake City seeping through the cracks in the sidewalk. Where history was once made, history is often made again. Tempest Reporting is a slice of that history. Though comparatively, Tempest Reporting is quite young, the court reporting firm has made its mark as not only one of the longest-standing firm of Utah court reporters, but as a premiere firm for attorneys and paralegals to turn to for all their litigation services. While this is perhaps an unexciting statistic to some, court reporting services play a huge part in our legal system. Since 1988, Tempest reporting has worked cases for all sizes for top personal injury, corporate law, and criminal law firms in the state. That is quite the feat. Tempest Reporting’s founder and President, Ariel Mumma, created the firm when she saw how things in the industry needed to change. When she first started, Ms. Mumma was shocked to realize that many court reporting firms were not utilizing the latest technology available. How is it possible for a firm to provide the best services when they don’t even have the best technology for their clients? With that in mind, Tempest Reporting became one of the first court reporting firms to accepts transcripts and deliver them over email—allowing attorneys and paralegals to access what they need quickly. The firm was also one of the first to offer its clients compressed transcripts and videoconferencing. Nowadays, these aspects of business are commonplace. Tempest Reporting was one of the firms that helped pave that standard. The firm’s 30-year legacy of being an independently owned firm is another feat that many court reporting services are unable to make. Maintaining independence allows the firm to provide its clients with not only the best court reporting services, but the most attentive customer service. With Tempest Reporting, clients aren’t just a number whose ends justify the means. Clients are individuals with specialized and personal needs. That is why their services have remained unparalleled for three decades. In this day and age, everyone is go-go-go. Many law professionals don’t have the time to scour phone books and countless websites court reporting and litigation services to fit their needs. That is why Tempest Reporting is more than a court reporting firm. They offer videoconferencing, videography, conference rooms, realtime services, and much more. They are aware that accidents happen and emergencies arise, so they follow through with their clients to ensure that nothing unexpected occurs, be it technical issues or otherwise. First and foremost, Tempest Reporting is there for the people. To contact Tempest Reporting or to book a service, call 801-521-2222, email them at info@reporting.com, or visit their offices.